Antarctica is thought of as covered in ice, but a small part, about 1%, is dry land. These patches are the most biodiverse places on the continent. Despite this, little is known about the impacts climate change will have on those biological hotbeds. A new study, published today in Nature, found climate change could increase Antarctica's dry land by 25%. Why it matters: Some patches of ice-free land have species that haven't been seen anywhere else. Others serve as important breeding grounds for seabirds and seals. It's unclear whether existing species could move into the dry land or if animals there now could disappear. What they did: Researchers calculated the rates that ice would melt or sublimate across Antarctica under two different warming scenarios. They also estimated the change in precipitation and, by combining the calculations, they were able to map where ice is likely to increase and where it might disappear. What they found: Across Antarctica, ice-free land will increase by about 25%, but the impacts of global warming will vary regionally. In the dry mountain valleys, which are ice-free because they receive no rain, little will change. But patches in the rapidly-warming North Antarctic Peninsula could triple in size. Some places, like the South Orkney Islands, could become completely ice-free. What it means: All of this uncovered land could be new habitat for existing species, say the authors. In that respect, biodiversity could increase. But it's also possible that animals and populations unique to some patches of rock could disappear or lose diversity as the patches grow and combine. 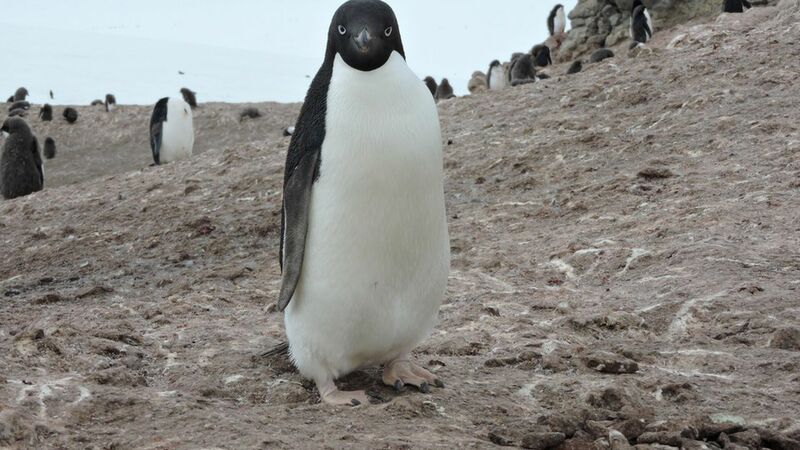 Scientists are concerned that more invasive species could gain footholds as Antarctica becomes more hospitable and ice-free zones increase.